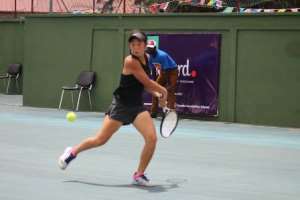 Chinese tennis star Han Shi predicted to win the ultimate title in the ITF U-18 World Junior Circuit and did it in amazing fashion at the tennis arena of the Accra Sports Stadium. The 13-year-old player was phenomenal in the competition as she battered every opponent to set a date with Egyptian Hagar Ramadan whom she also beat in the final of the girls singles category. Han Shi started the tournament defeating Great Britain’s Jasmine Saunders 6-1, 62, won 6-0, 6-2 against Mya Raiss in the second round, thumped Egyptian number one seed Norhan Hesham 6-1, 6-1 in the quarterfinals before meeting South Africa’s Cara O’flaherty in the semi-final. 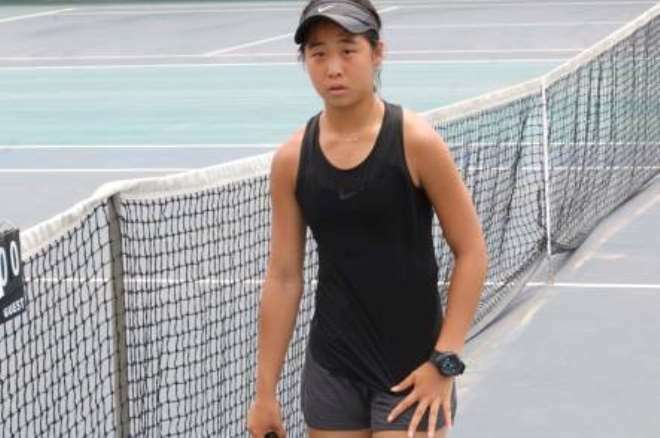 Han Shi, who was ranked 1530 at the junior level in the world before coming to Ghana, participated in the Cambodia ITF Junior Circuit but lost the final berth to number one seed Tararudee Laniana. 18-year-old French MichasBomdaz beat Dominion Laporte from Seychelles to win the boys division. The McDan sponsored ITF World Tour received a major boost from air conditioning solutions giants, Fox Cooling announcing their partnering sponsorship for the tournament. Mr Mario Yazbeck General Manager of Fox Cooling said his brand has been inspired by McDan Foundation's exploits in tennis development. Mr Hayssam Fakhry, CEO of Interplast said McDan Foundation’s vision of developing the game is giving opportunities to young talented Tennis players. Palace Decor is another corporate institution that has pledged to support the McDan ITF World Tennis Tour. CEO of Palace Decor, Ahmed Ezzedine said “Not every child can play football, so if we some who have made their intention clear that they want to take tennis high, why don’t we support them.? Other sponsors of the tournament are Hollard, Life Time, Ann Mineral Water, Vital Milk, McDan Shipping Company and the Ghana Tennis Foundation. 64 players from 20 countries participated in the ITF-certified tournament which ends on April 13.